The Marvel Comics-based series won't be happening. 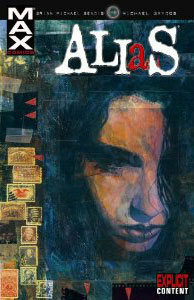 ABC Entertainment President Paul Lee confirmed in a conference call this morning that AKA Jessica Jones, a TV adaptation of the Marvel comic book series Alias, will not be going to series. The show would have featured the former superheroine turned investigator — named Jessica Jones, of course — and was to feature appearances from characters like Luke Cage (I’ll always call him Power Man) and Carol Danvers (I’ll always call her Ms. Marvel). Say it with us: Runaways! Hopefully more news about future Marvel Comics-based properties as TV series will come soon. Considering The Avengers was so huge… now would be a great time.